Ships tomorrow if you order in the next 24 hours 57 minutes. 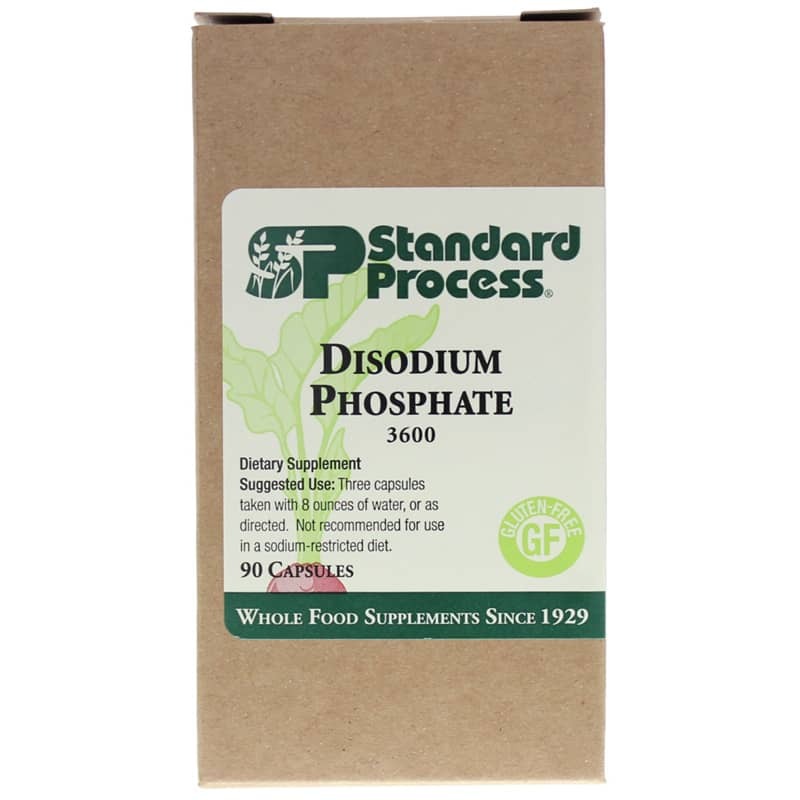 Disodium Phosphate by Standard Process is a natural supplement that supports cholesterol metabolism and liver and gallbladder functions, plus helps maintain proper pH balance. 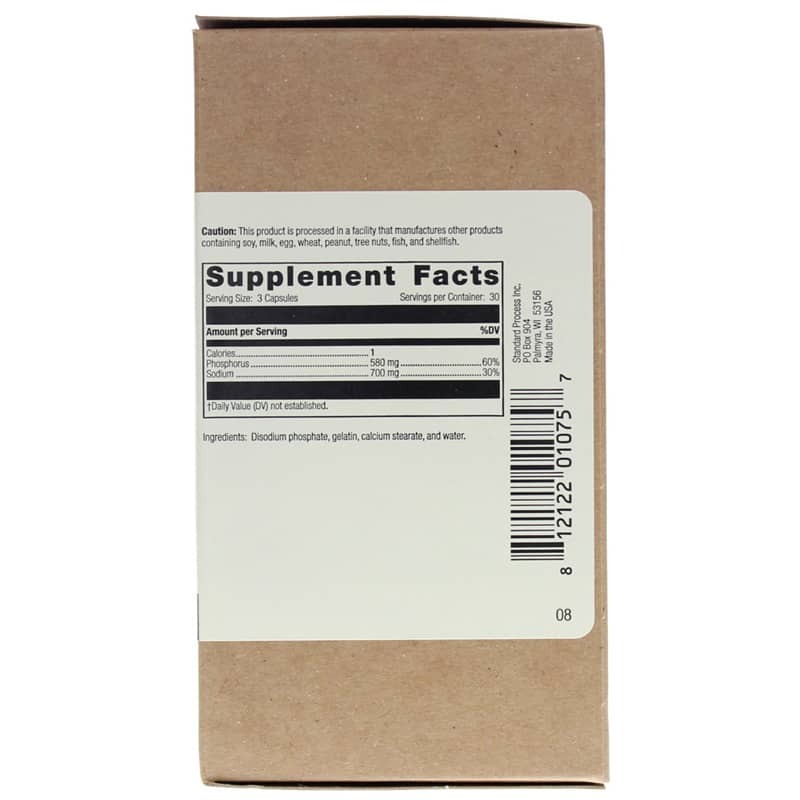 Ingredients: Disodium phosphate, gelatin, calcium stearate, water. Gluten-free. Adults: Three capsules taken with 8 ounces of water, or as directed. Not recommended for use in a sodium-restricted diet. If you are pregnant or nursing, please consult your healthcare professional before using this product. Keep out of the reach of children.